Born in Worcester, Massachusetts on November 20, 1959, James Patrick McGovern attended) American University in Washington, DC, where he earned a BA in history in 1981 and a Masters of Public Administration in 1984. He worked as an aide to South Dakota Senator George McGovern (no relation) from 1977-80, and in 1984 he ran Senator McGovern’s presidential primary campaign in Massachusetts. From 1982-96 James McGovern worked for Massachusetts Democratic Congressman Joseph Moakley, first as a senior aide and then as chief of staff. In 1990 Moakley appointed) McGovern to lead a House task force investigating the Salvadoran military’s recent murder of six Jesuit priests and two lay women in El Salvador. McGovern blamed these crimes on the elected anti-Communist Salvadoran government that was fighting against Marxist Sandinista-and-Cuban-backed terrorists from neighboring Nicaragua, and he played a key role in persuading congressional Democrats to cut off U.S. aid to El Salvador. McGovern also advocated) the termination of funding for the U.S. Army School of the Americas, where a number of the Salvadoran soldiers had been trained. In 1994 McGovern, a Democrat, lost his bid for Massachusetts’s Third Congressional District seat. But two years later, with strong financial and tactical support from the AFL-CIO, he defeated Republican incumbent Peter Blute to win a seat in the U.S. House of Representatives. He has been re-elected every two years since then, and is a member of the Congressional Progressive Caucus. In 1997 McGovern co-sponsored Congressman Matthew Martinez’s Job Creation and Infrastructure Restoration Act, which proposed to use $250 billion in federal funds for the establishment of union-wage jobs rebuilding infrastructure (e.g., schools, hospitals, libraries, public transportation, highways, and parks). Martinez had previously introduced this bill in 1995 at the request of the Los Angeles Labor Coalition for Public Works Jobs, whose leaders were all supporters or members of the Communist Party USA. In 2001 and 2002, McGovern sent his personal greetings to the attendees and honorees at ceremonies held by the Boston local of the Democratic Socialists of America. Calling for an end to the U.S. trade embargo of Cuba,1 McGovern in 2002 joined the Cuba Working Group. In his multiple trips to that nation (beginning in 1979), he developed a cordial relationship with Fidel Castro and once persuaded the latter to make the personal papers of former Cuban resident Ernest Hemingway accessible to American scholars. In 1999 McGovern became involved in the high-profile case of Elian Gonzalez, a five-year-old Cuban boy whose mother had drowned while trying to escape Cuba and bring her son to the United States. After his mother’s death, Elian reached a safe haven in Florida. But Congressman McGovern worked closely with the boy’s father, with Castro’s secret police representing the father, and with Democrat comrades in the Clinton administration to have the youngster returned to Havana. In December 2006, McGovern was part of a ten-person congressional delegation (which included also Hilda Solis) that visited Havana to meet with Cuban Foreign Minister Felipe Perez Roque and other communist officials. In March 2013 McGovern participated in an effort to get Cuba taken off the U.S. State Department’s “State Sponsors of Terrorism” list. And in May 2013 he signed a document drafted by the Latin America Working Group—affiliated with the Institute for Policy Studies—urging President Barack Obama to liberalize the regulations governing Americans’ travel to Cuba. Strongly opposed to U.S. military actions in Iraq, McGovern in 2005 became a member of the Out of Iraq Congressional Caucus. 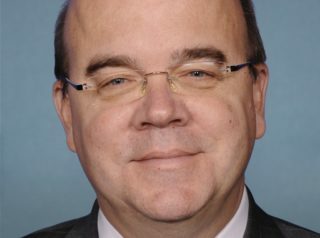 A leading congressional opponent of the U.S.-Colombia Free Trade Agreement (USCFTA), McGovern helped persuade House Speaker Nancy Pelosi to defeat the proposed pact in April 2008. He has likewise tried to cut U.S. military aid to the government of Colombia, aid that was being used to fight against Castro-backed Communist insurgents and narco-terrorists like the Revolutionary Armed Forces of Colombia (FARC). On January 27, 2010, McGovern was one of 54 Members of Congress who signed a letter calling on President Obama to use diplomatic pressure to end Israel’s blockade of Gaza—a blockade which had been imposed in order to prevent the importation of weaponry from Iran and Syria. In addition to his political activities, McGovern serves on the advisory board of the Progressive Democrats of America. To view a list of additional PDA advisory board (and emeritus board) members, click here. For an overview of McGovern’s voting record on a number of key issues during the course of his legislative career, click here. For additional information on James McGovern, click here.